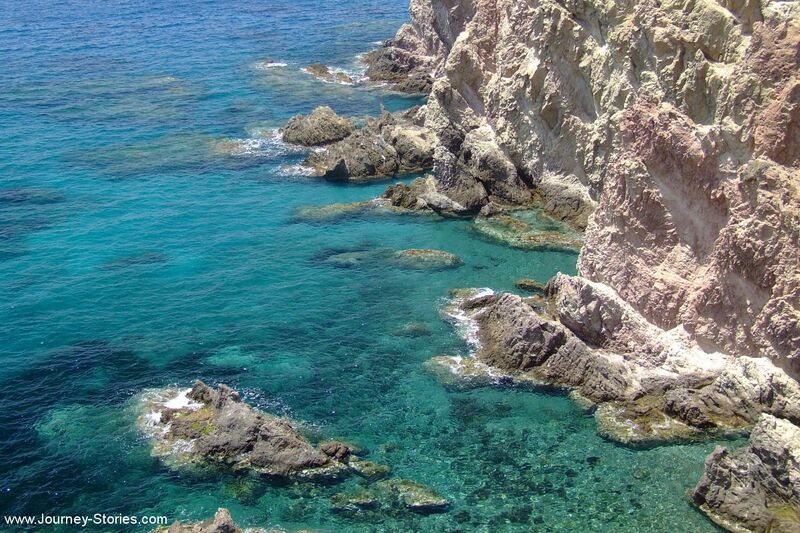 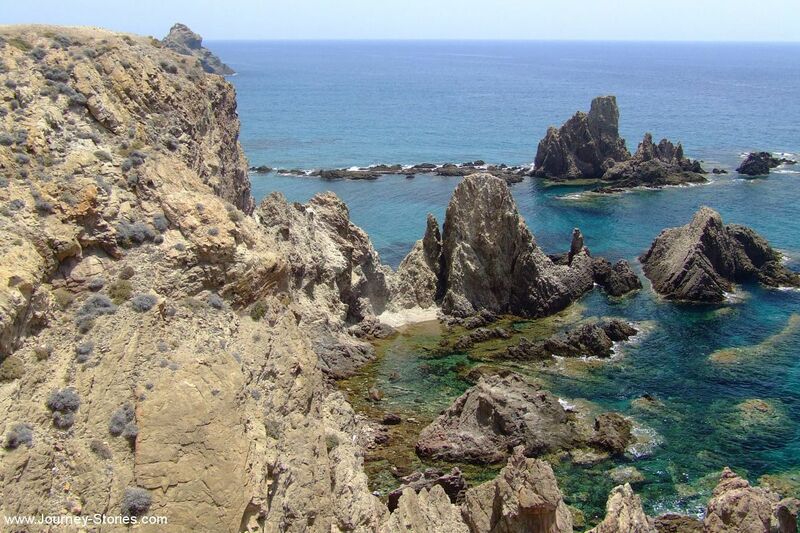 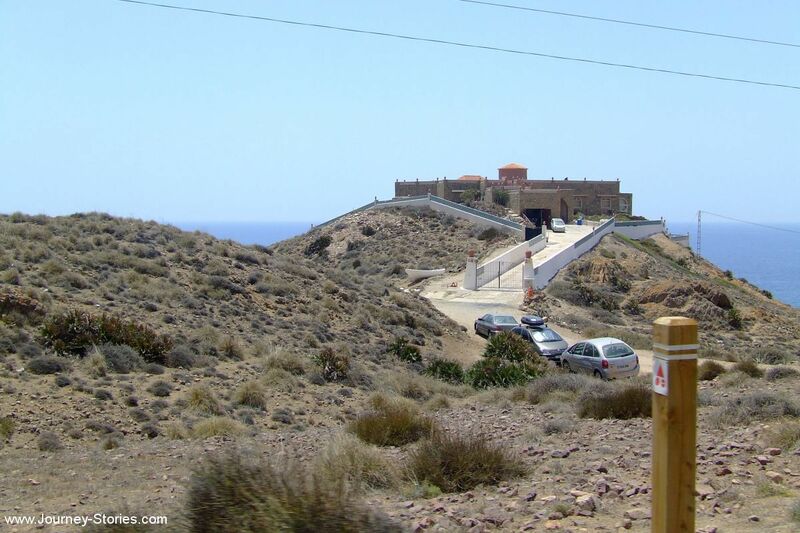 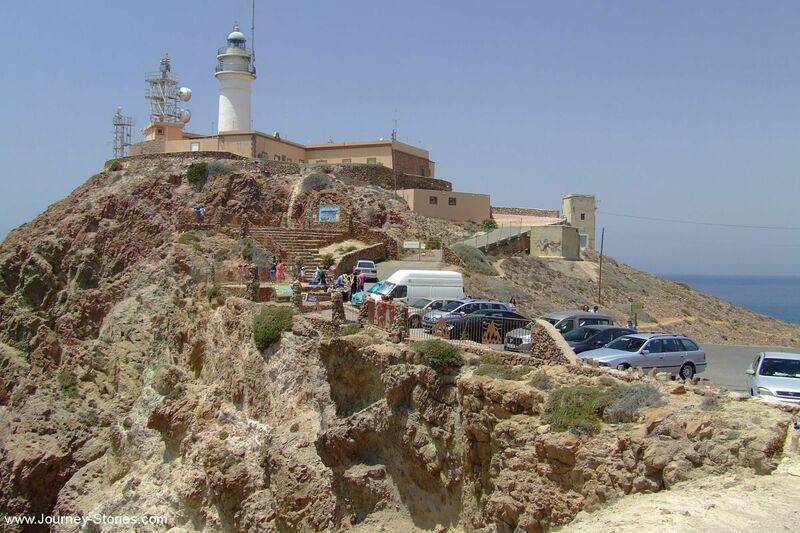 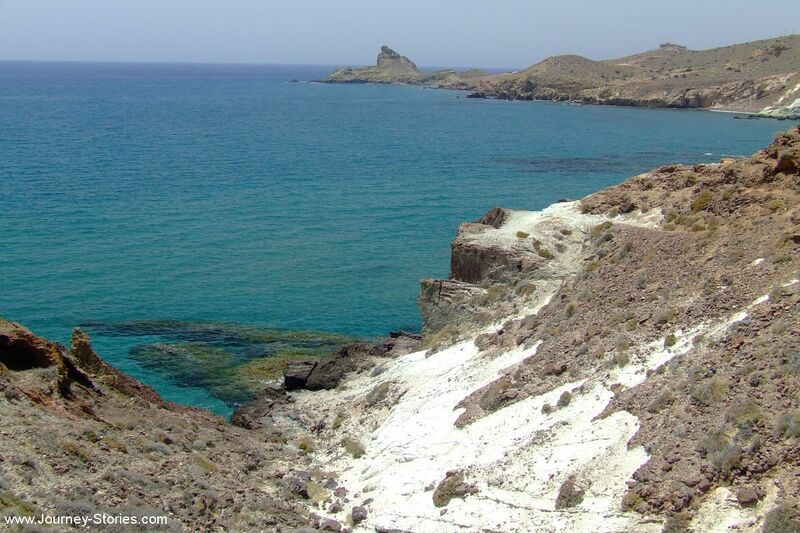 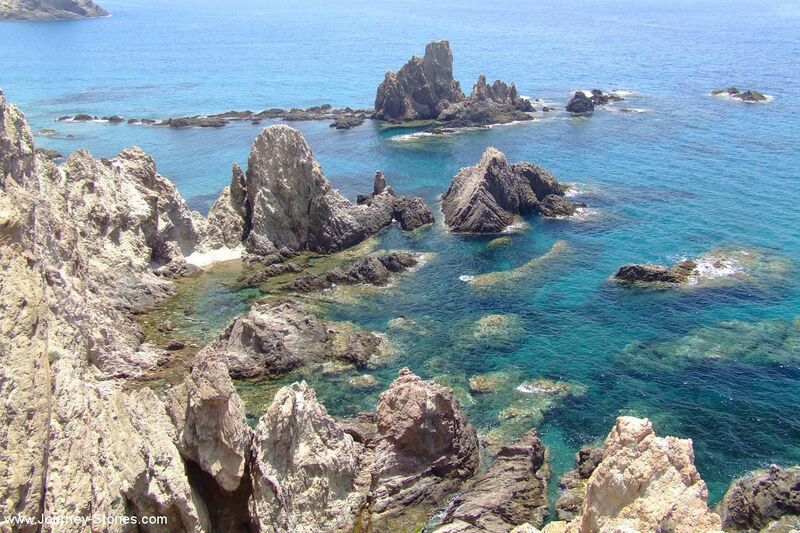 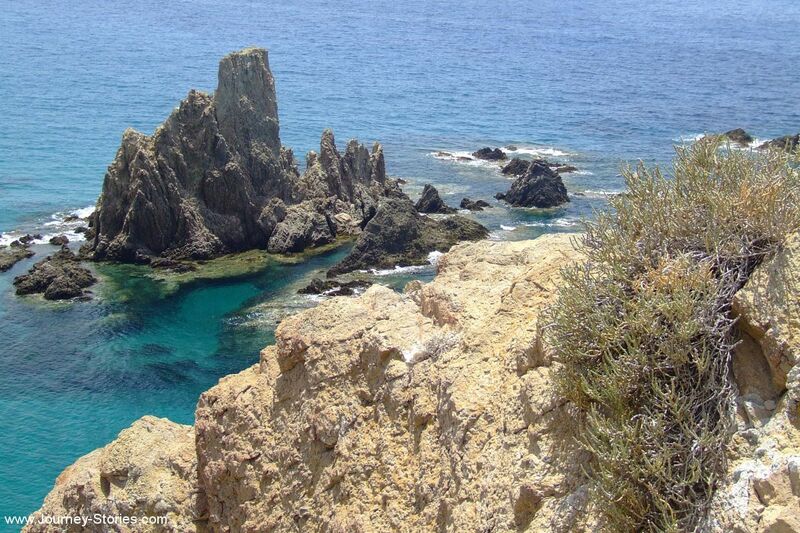 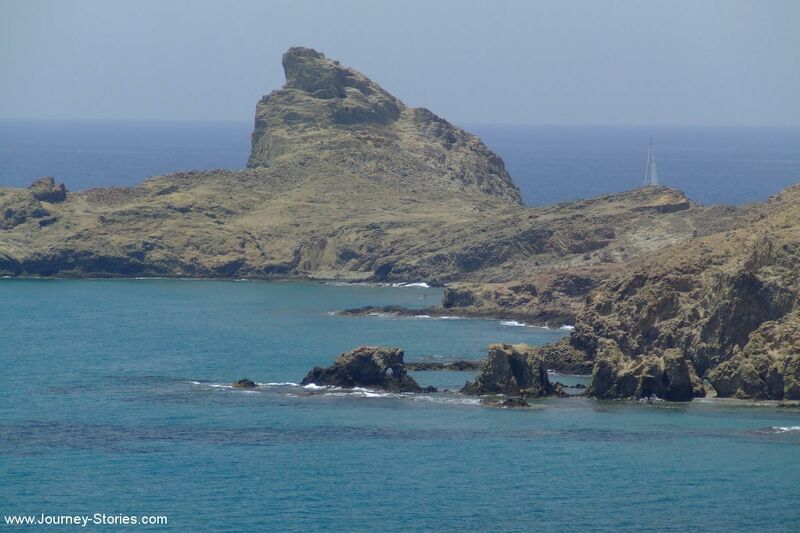 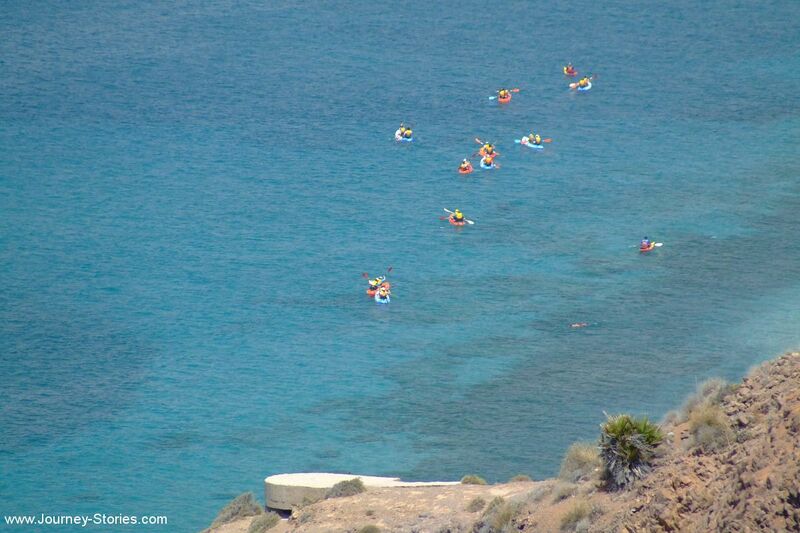 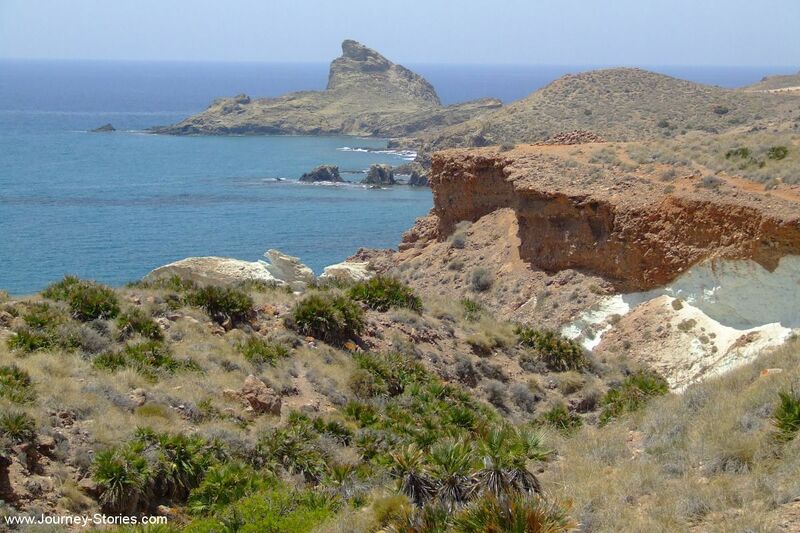 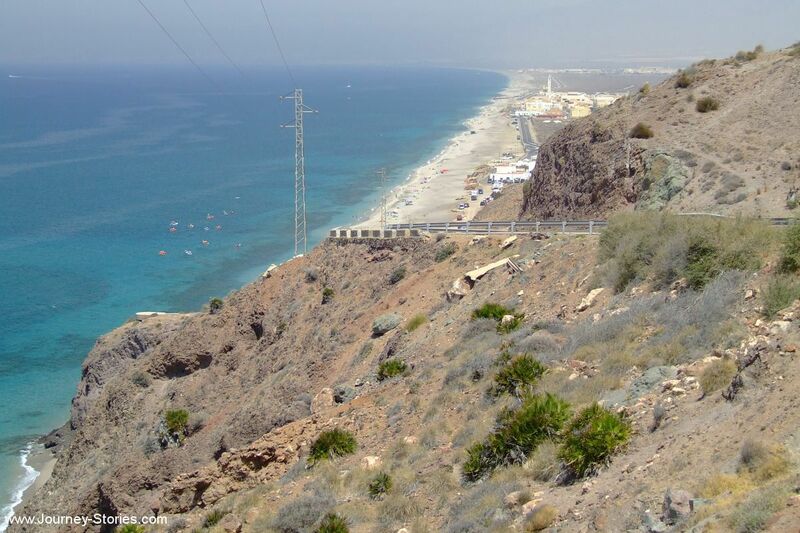 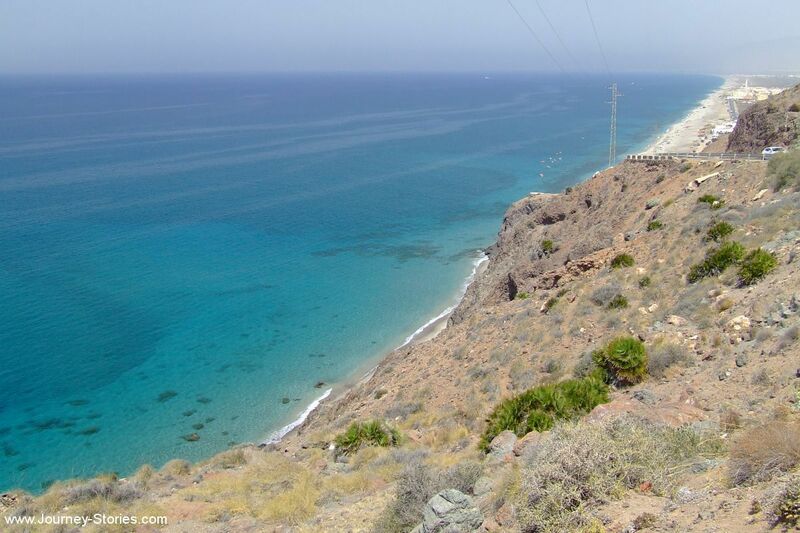 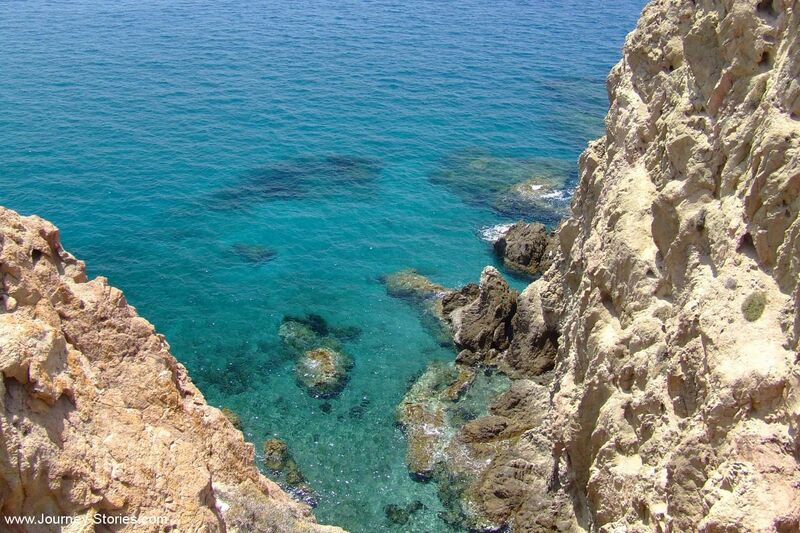 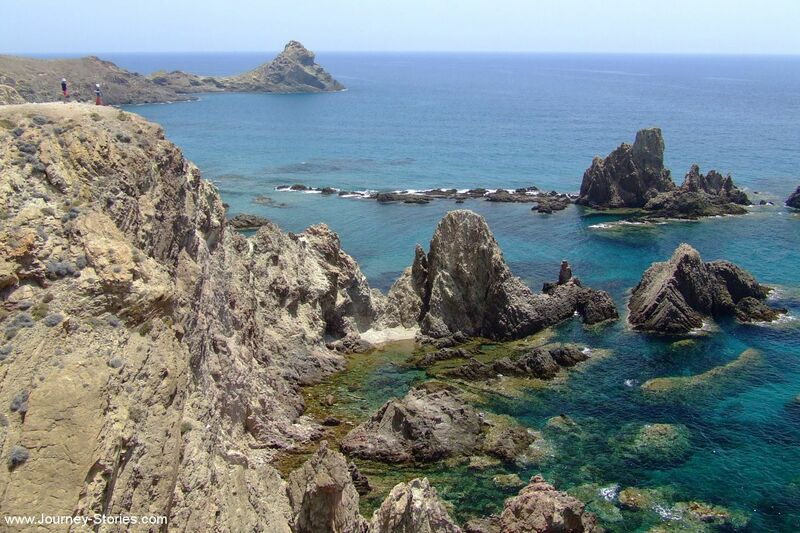 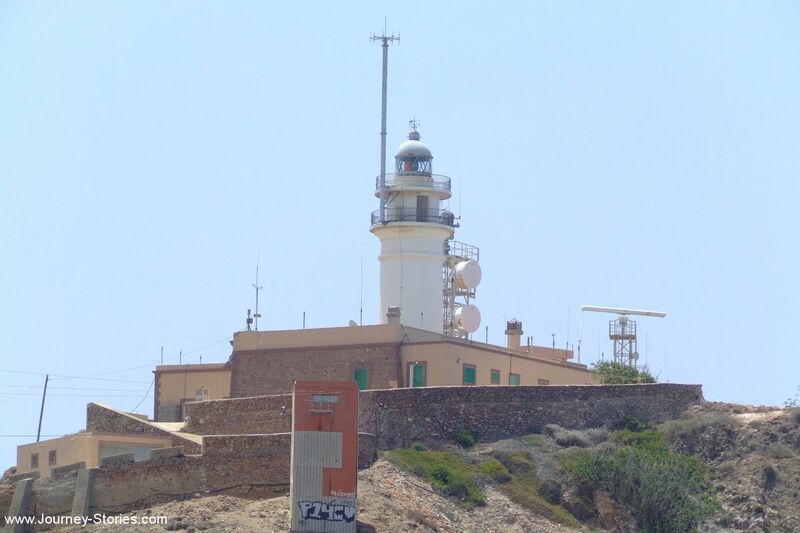 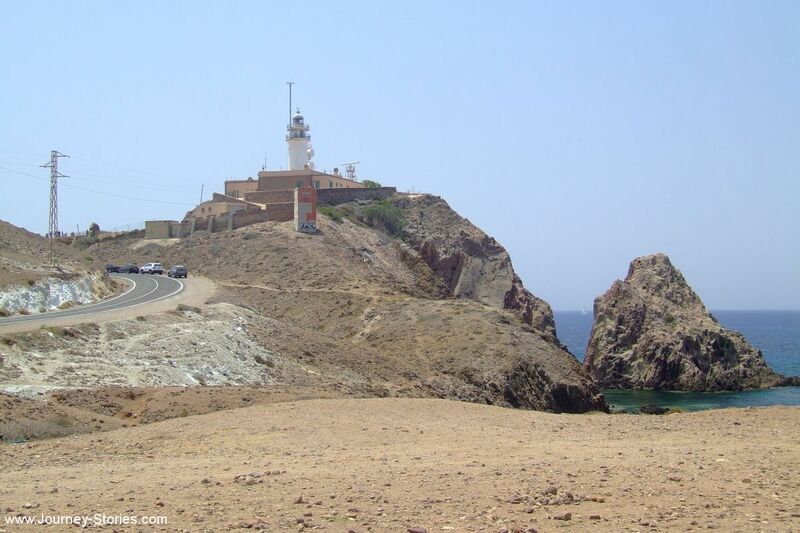 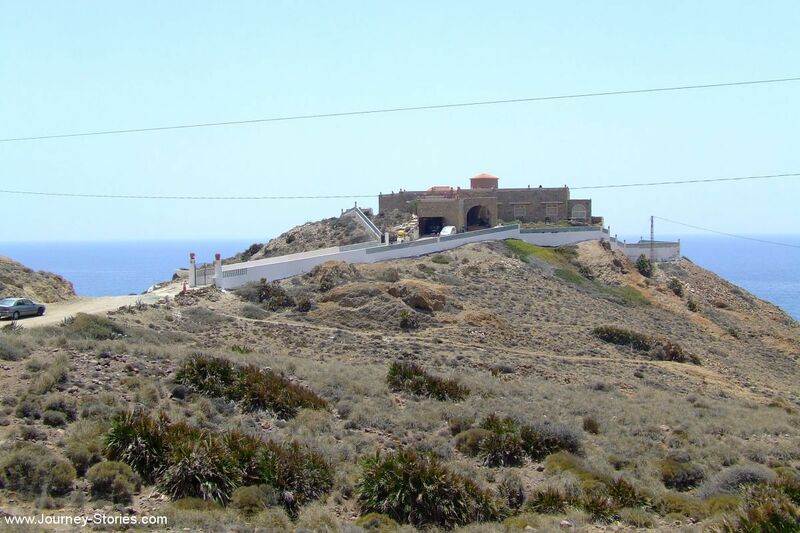 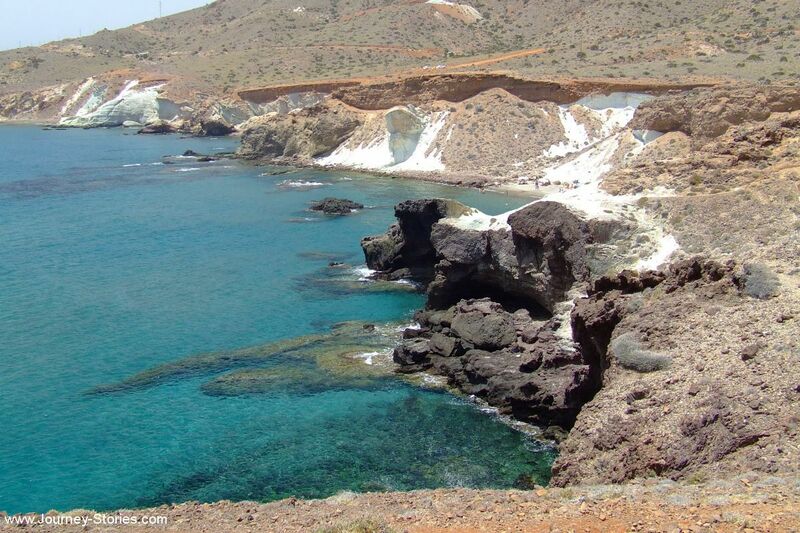 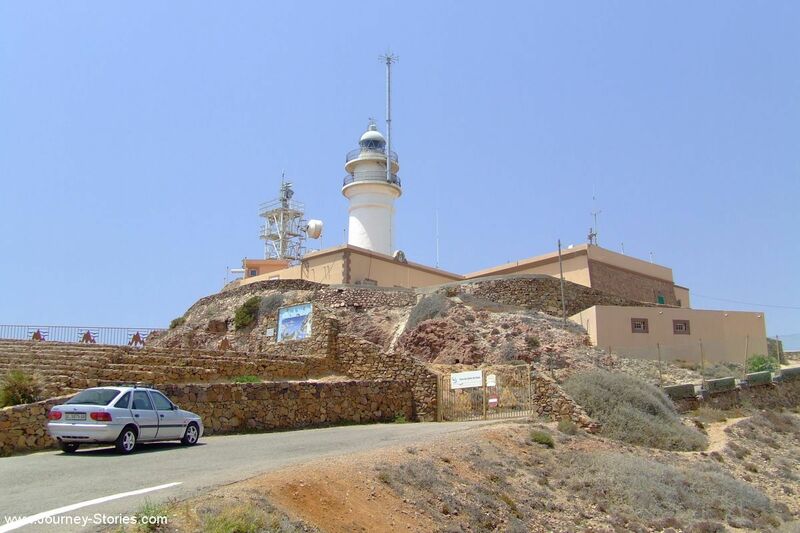 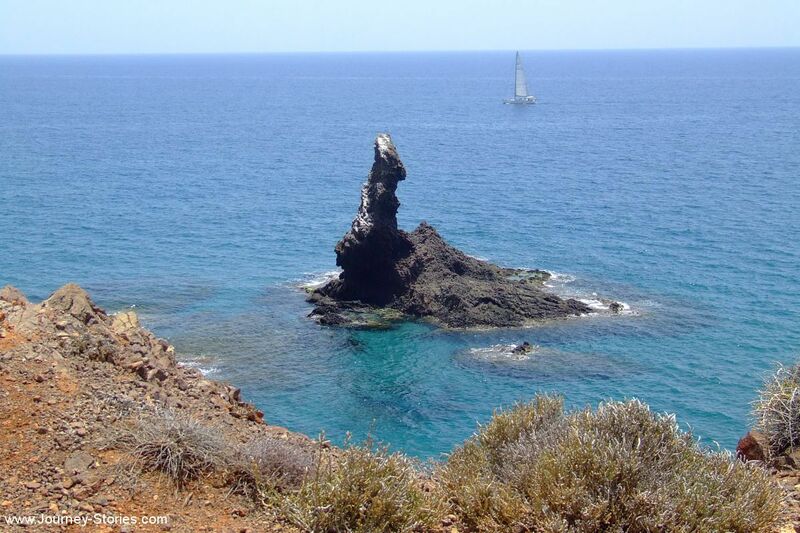 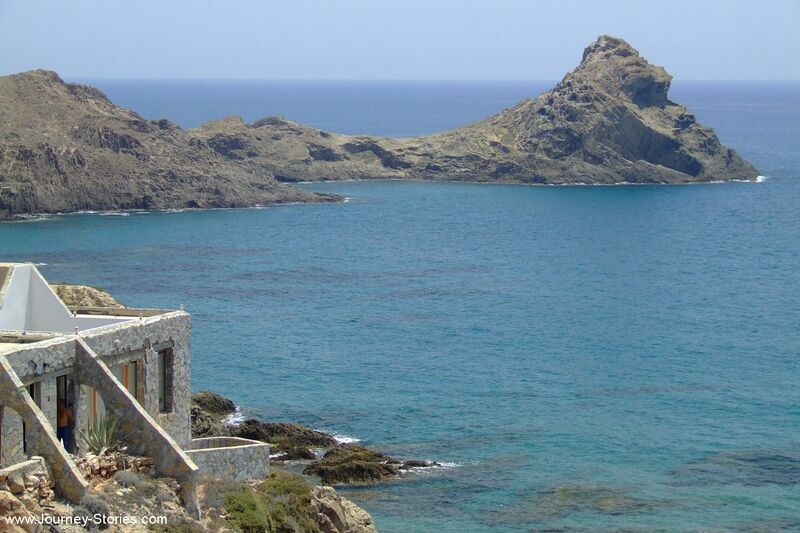 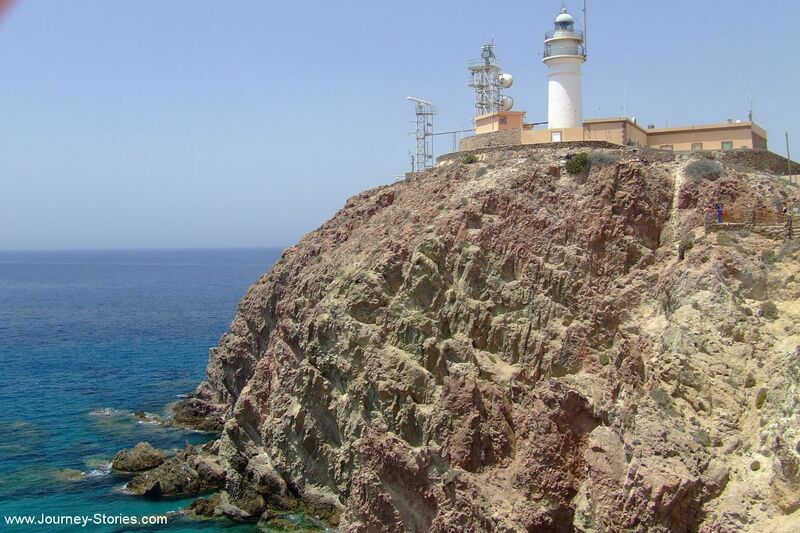 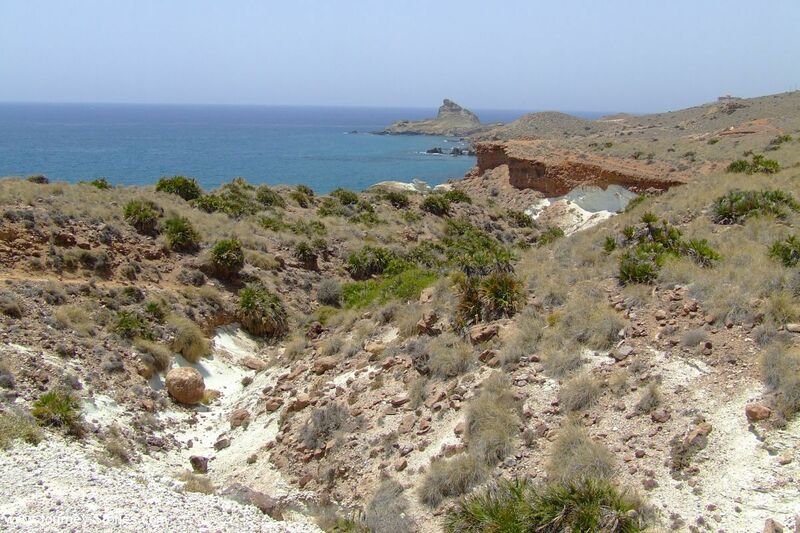 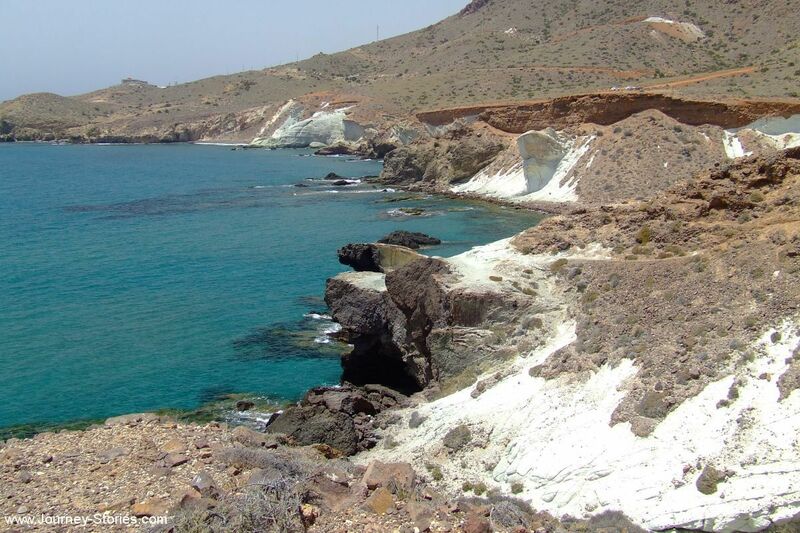 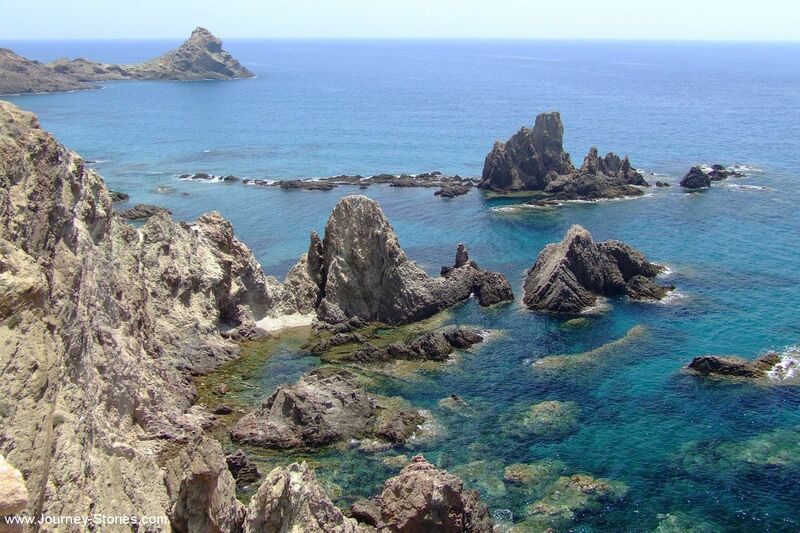 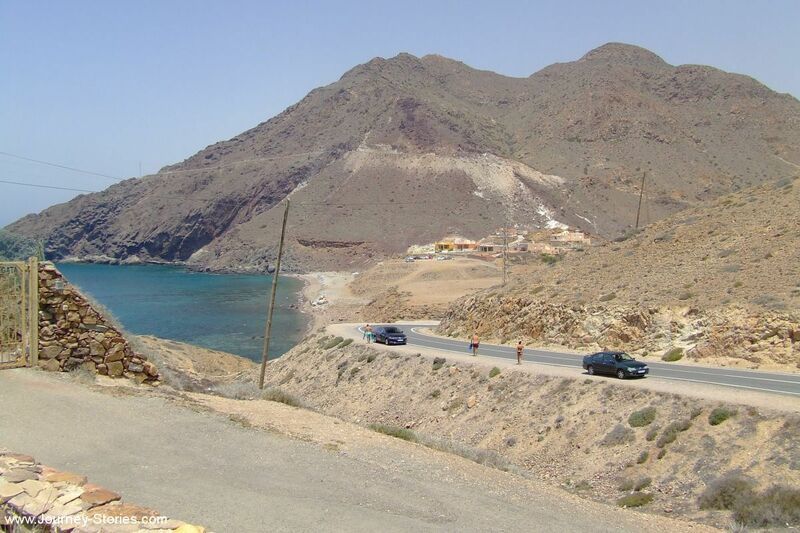 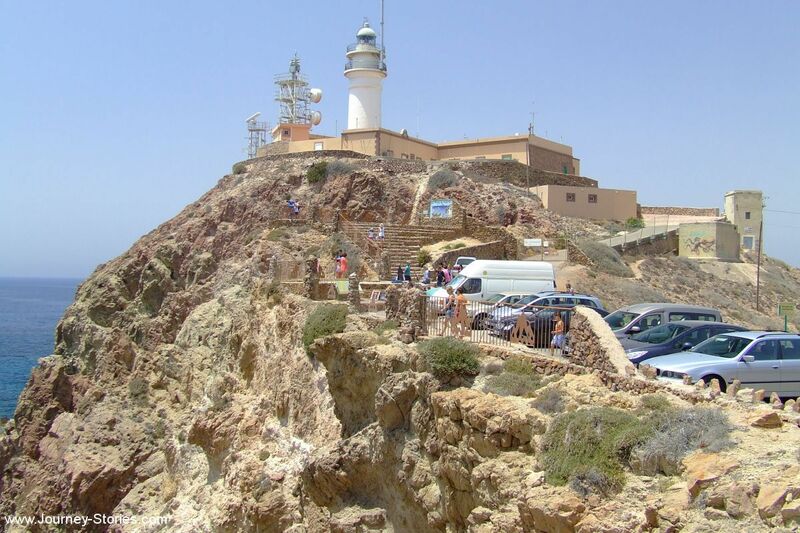 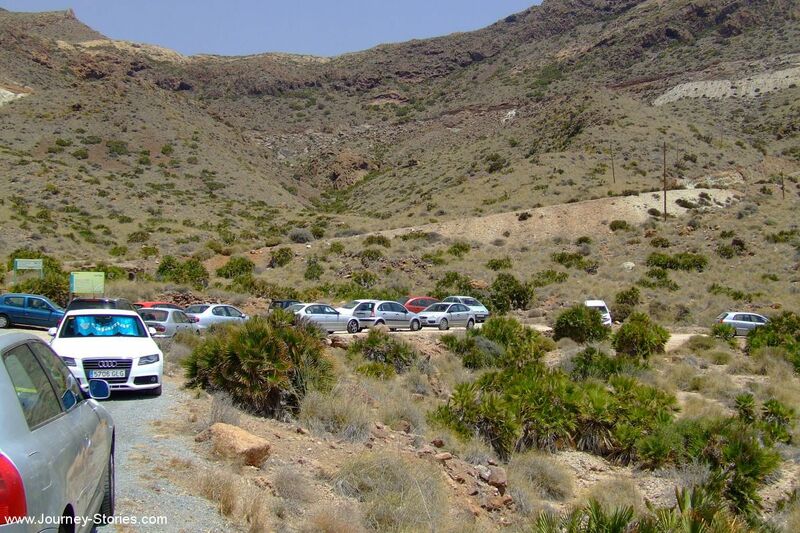 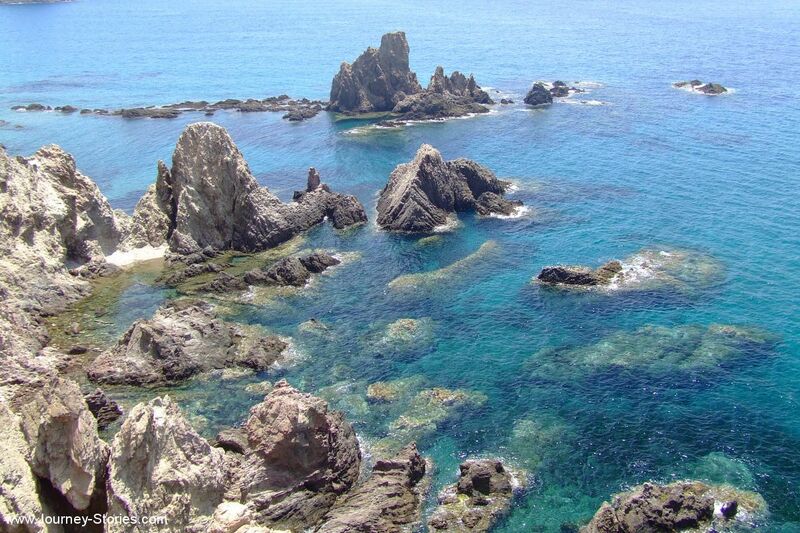 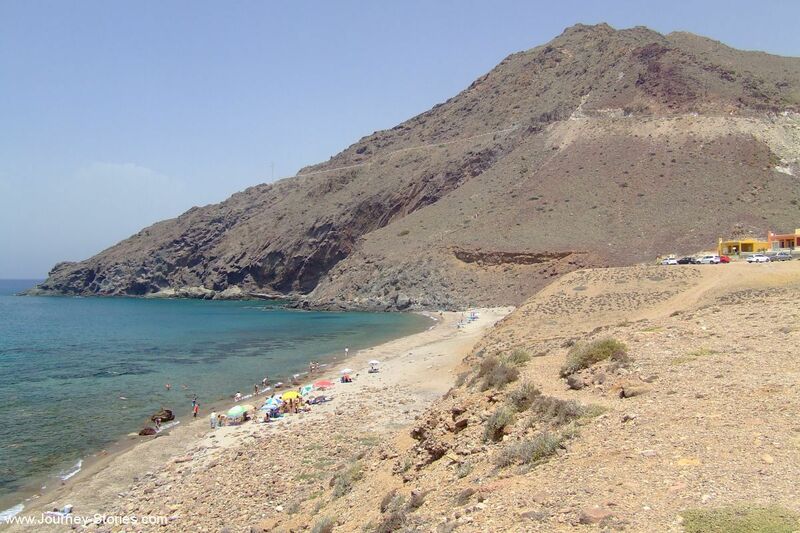 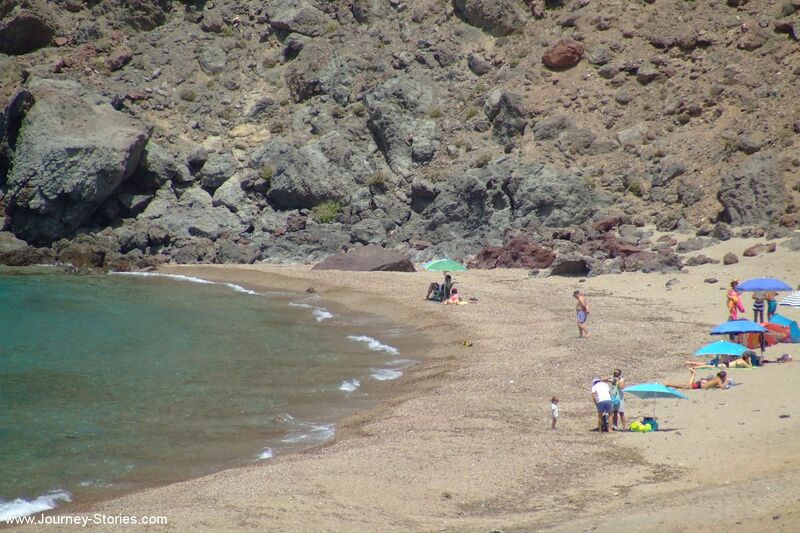 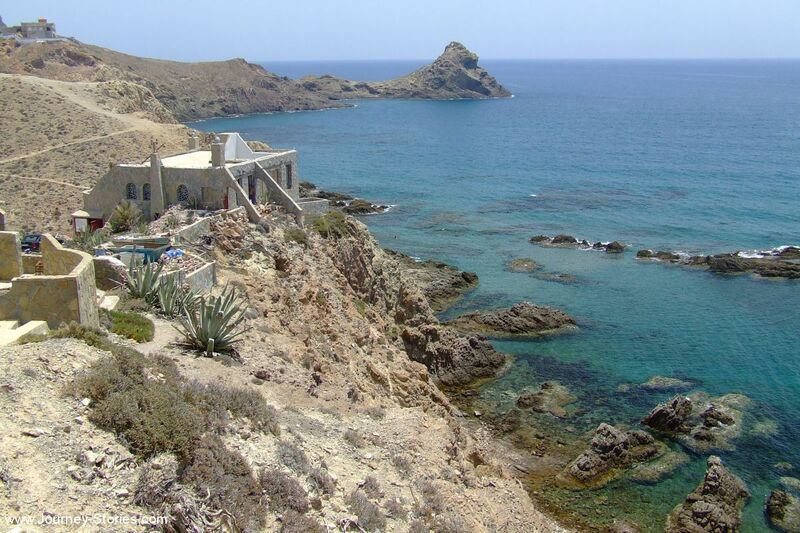 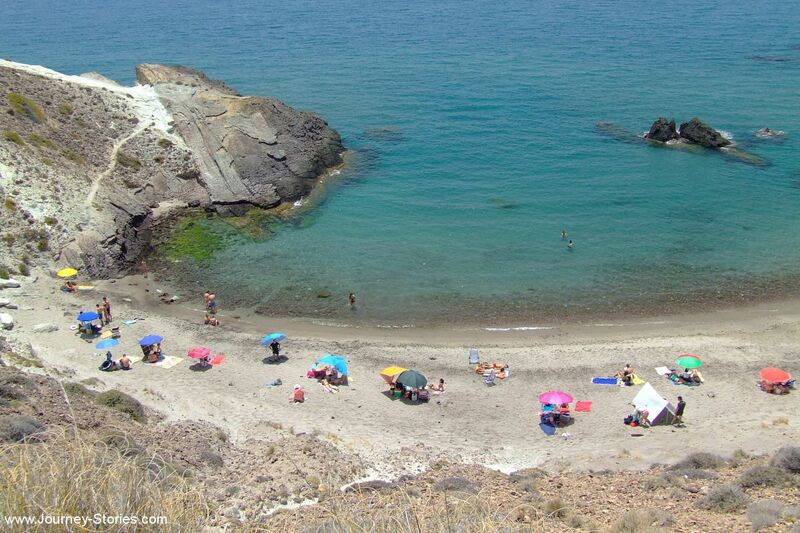 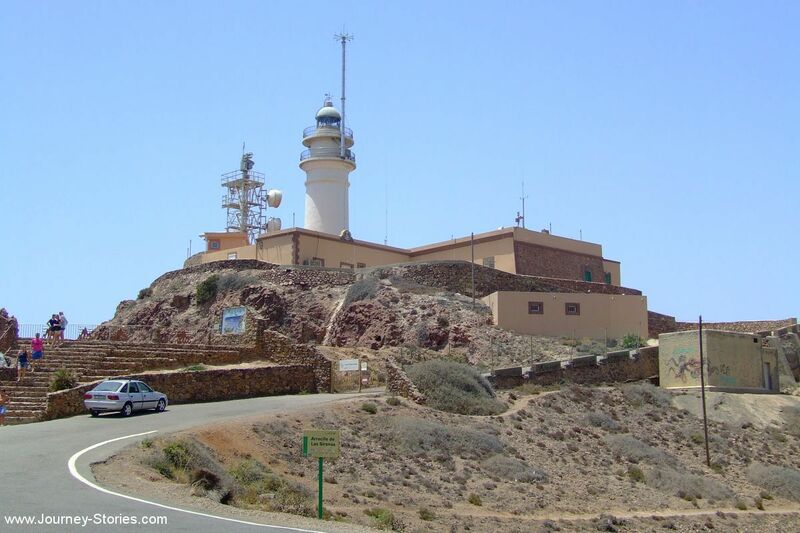 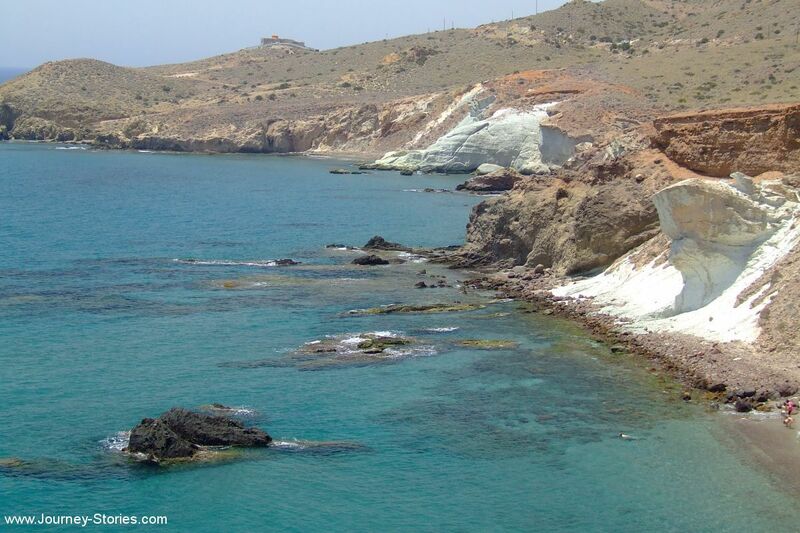 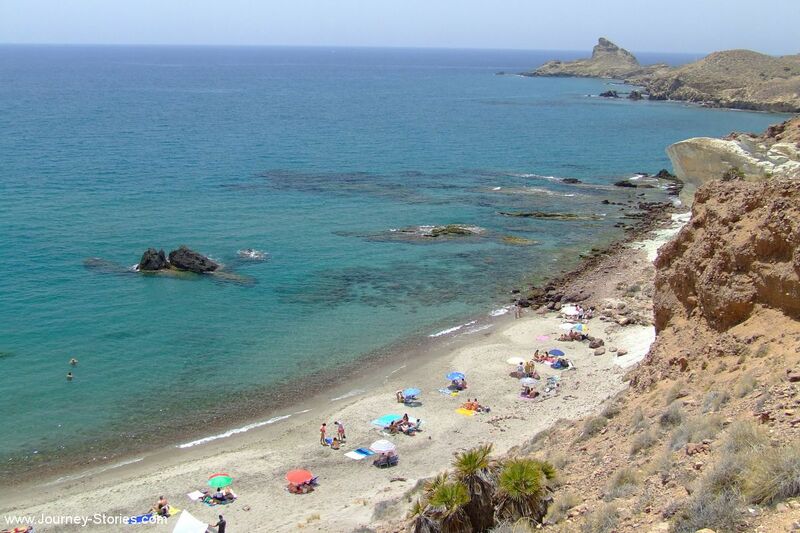 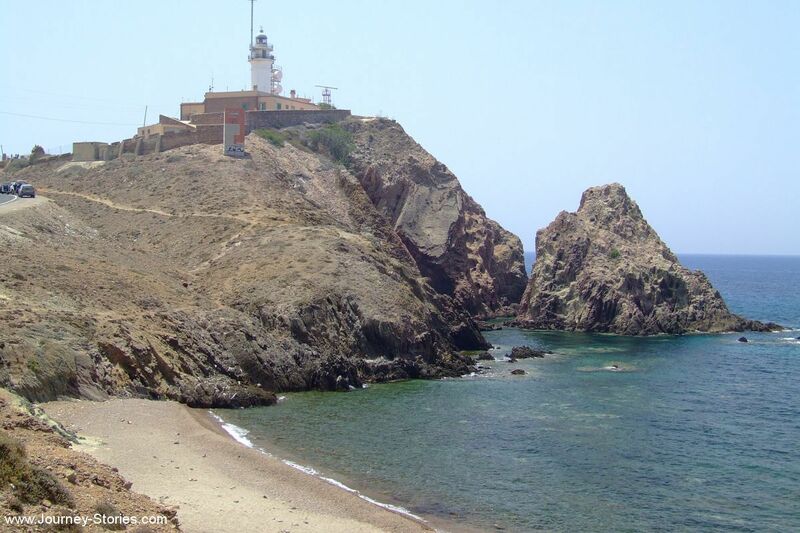 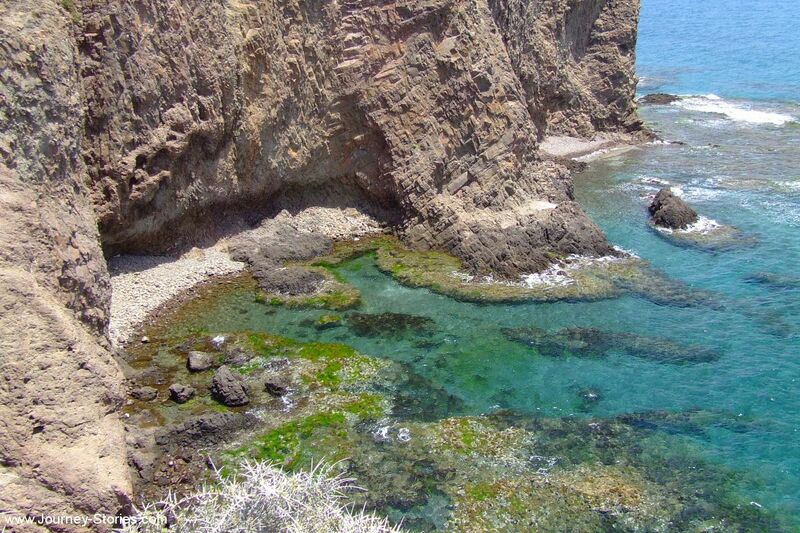 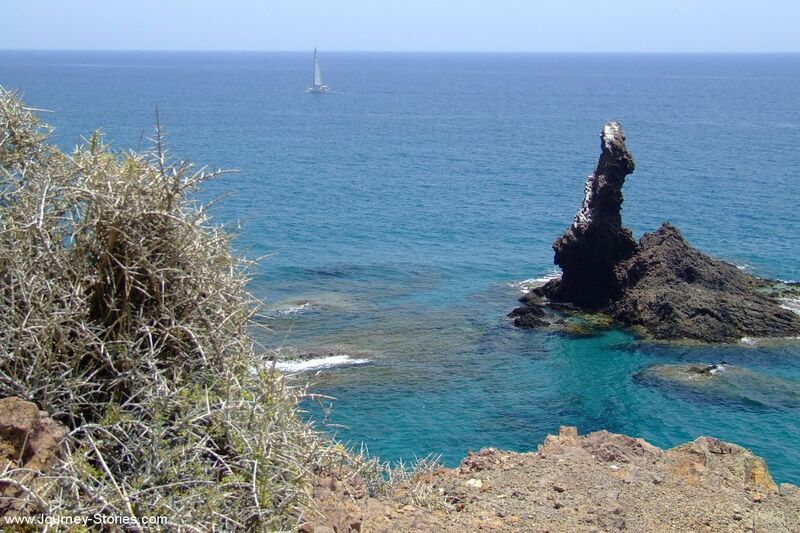 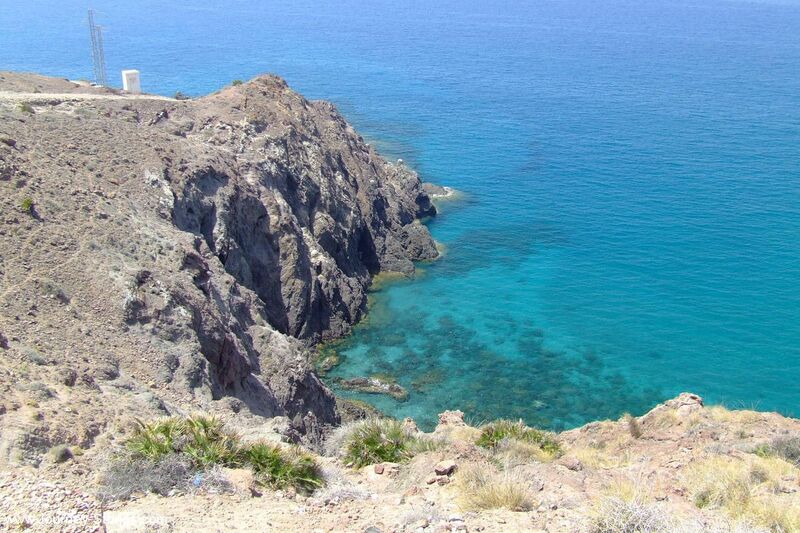 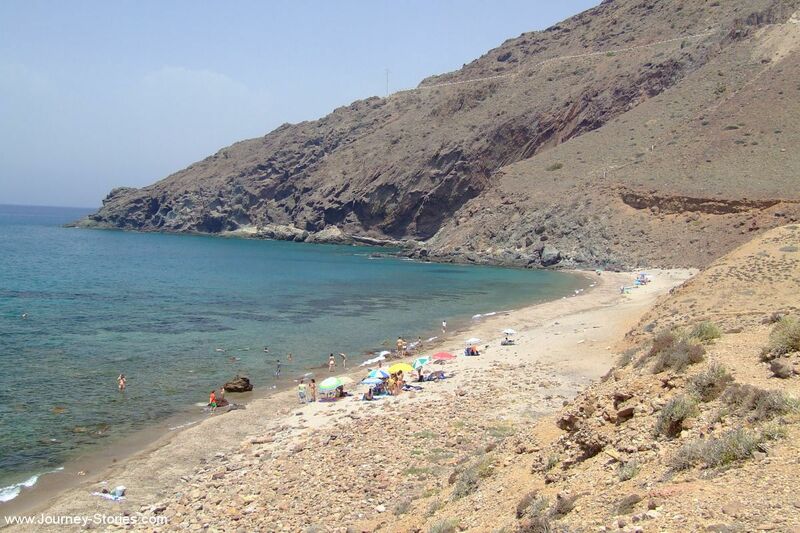 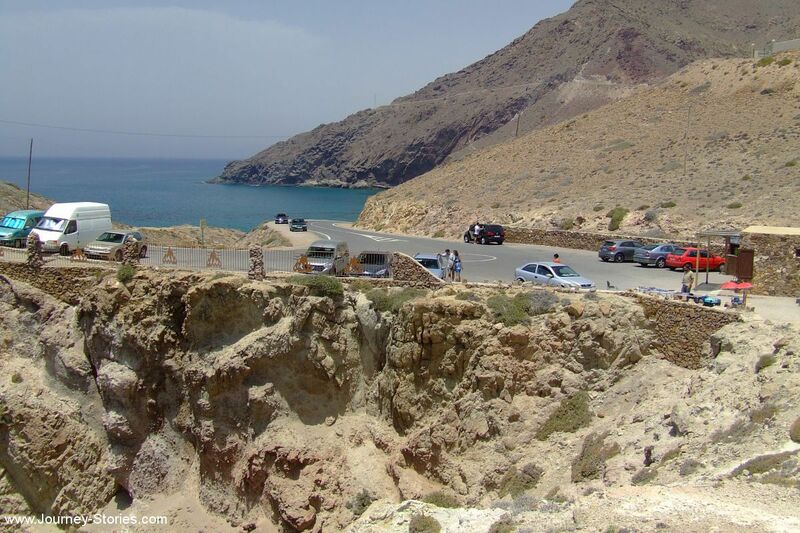 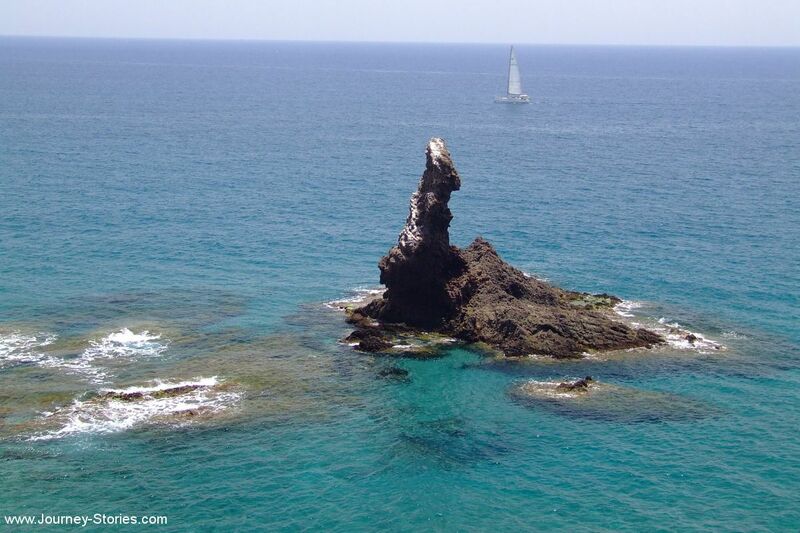 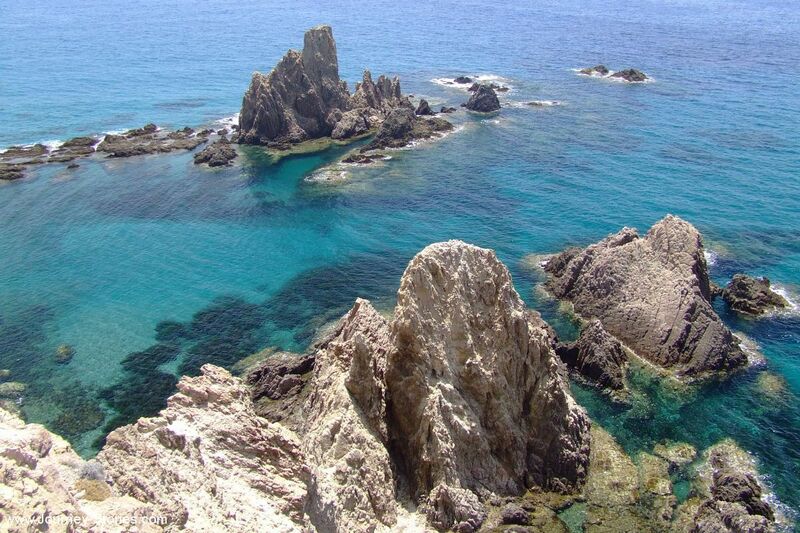 Photos of Cabo de Gata-Nijar Natural Park, Spain – Travel blog "Journey Stories"
Cabo de Gata-Nijar Natural Park in the south-eastern corner of Spain, is Andalucia’s largest coastal protected area, a wild and isolated landscape with some of Europe’s most original geological features. 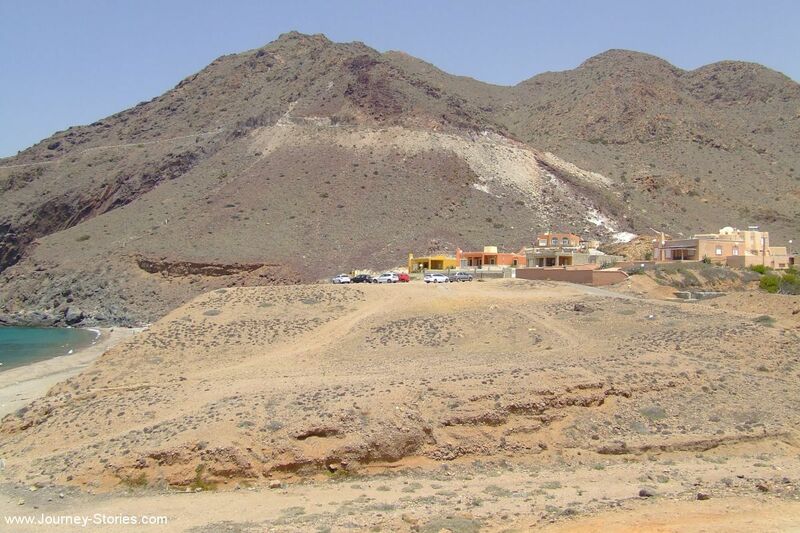 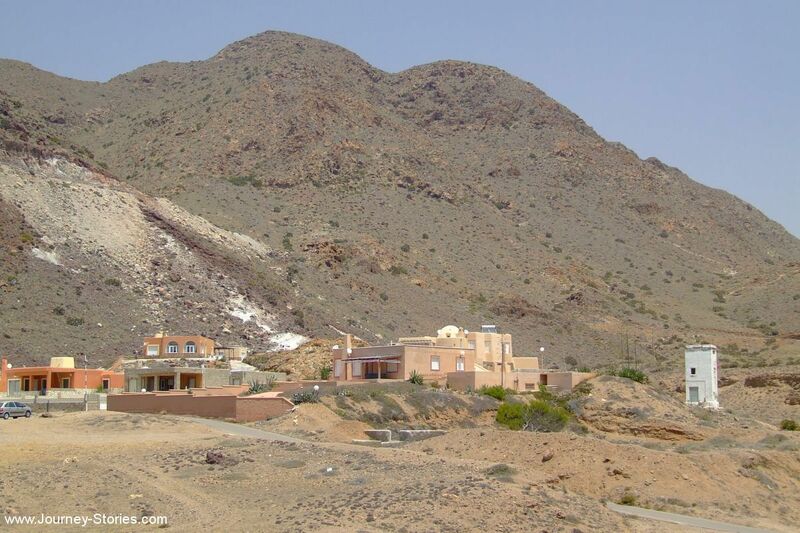 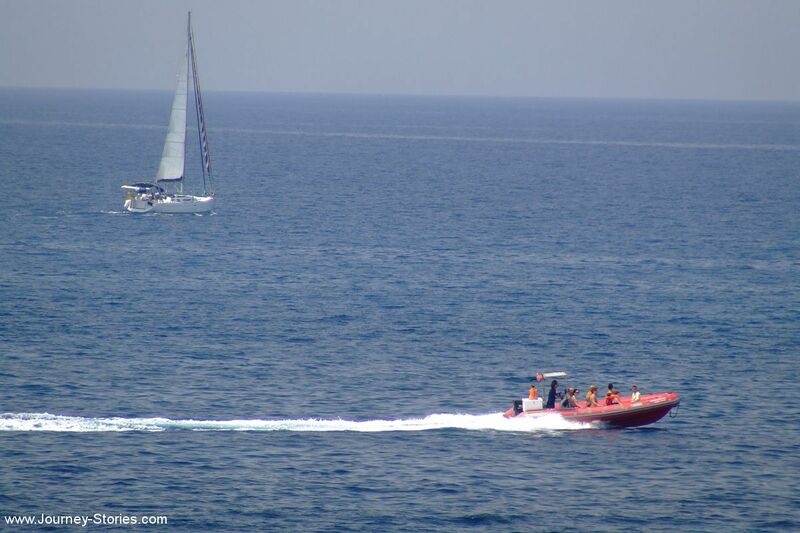 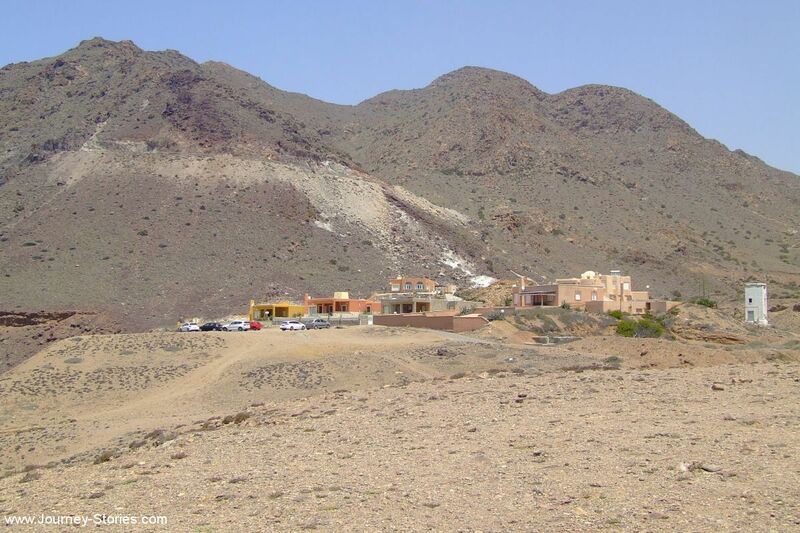 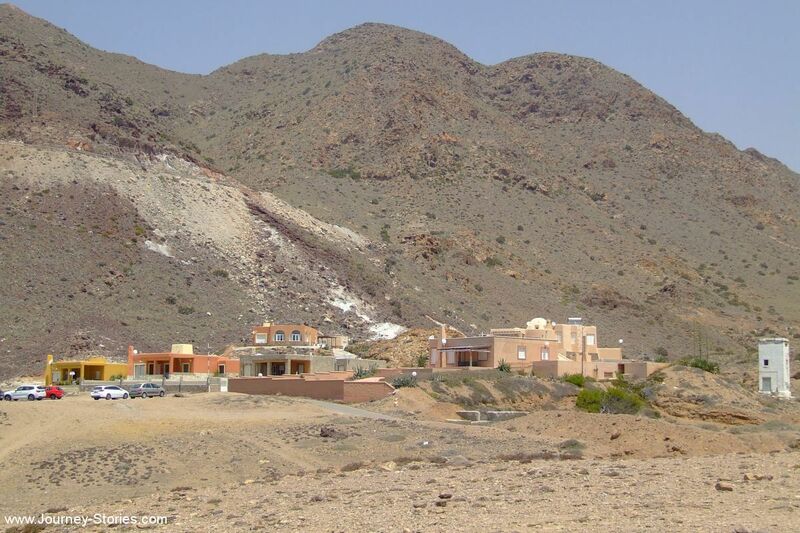 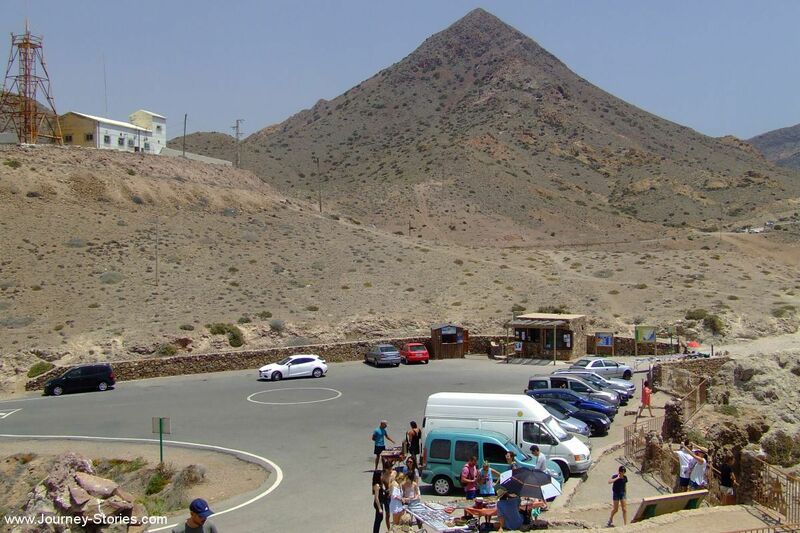 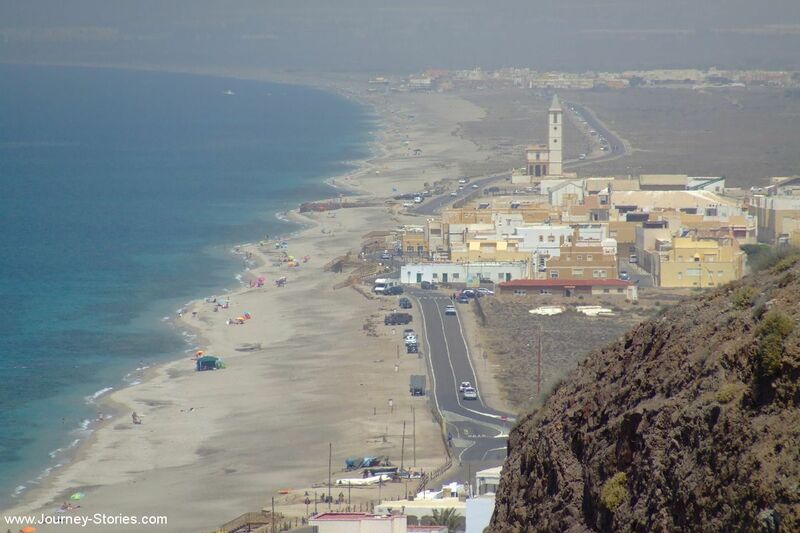 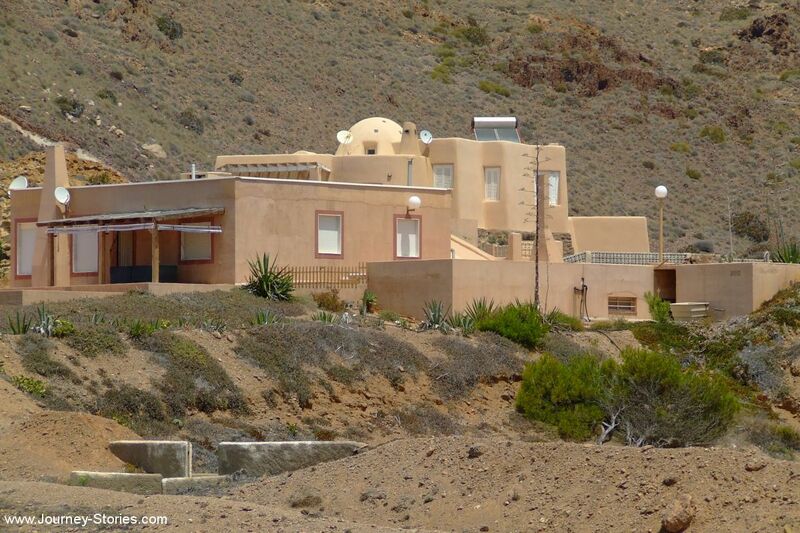 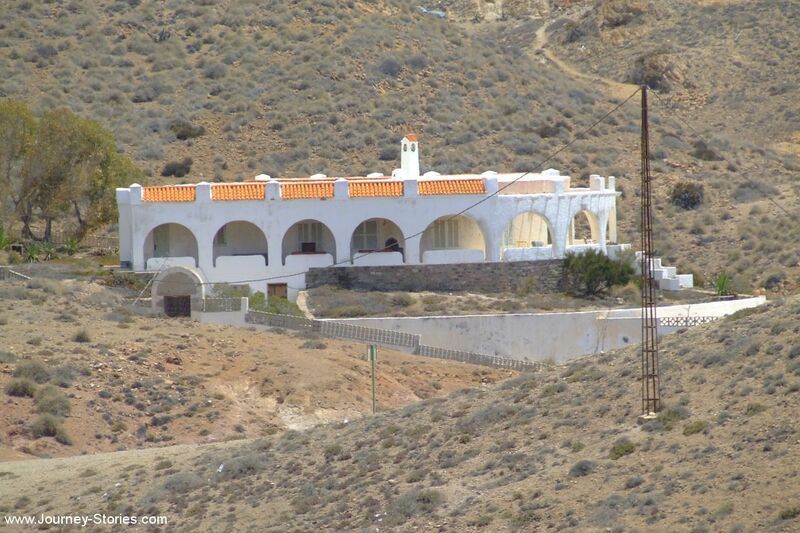 It is the only region in Europe with a true hot desert climate. 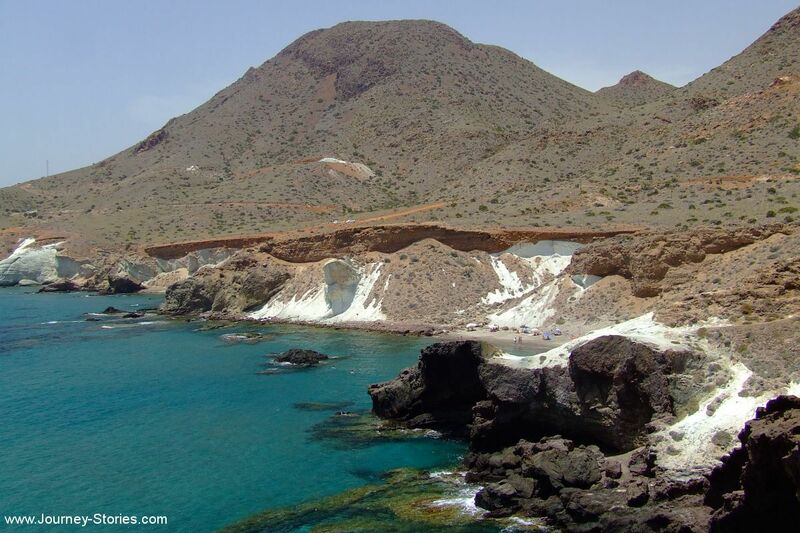 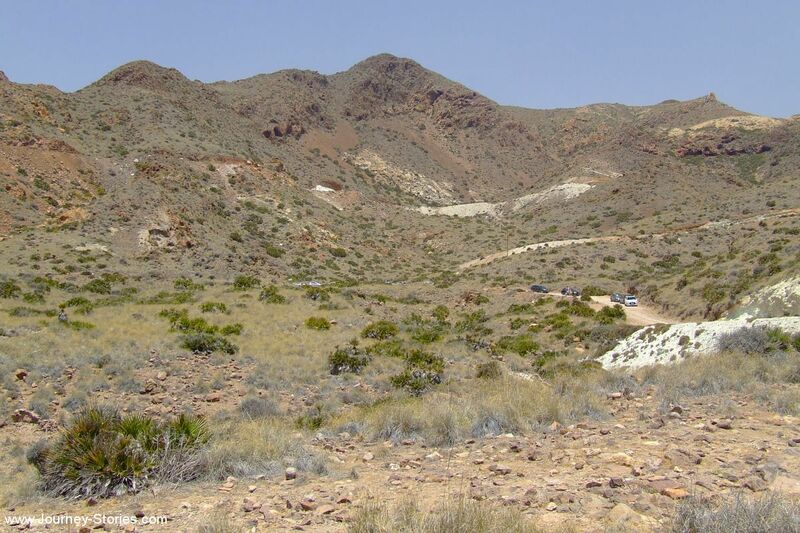 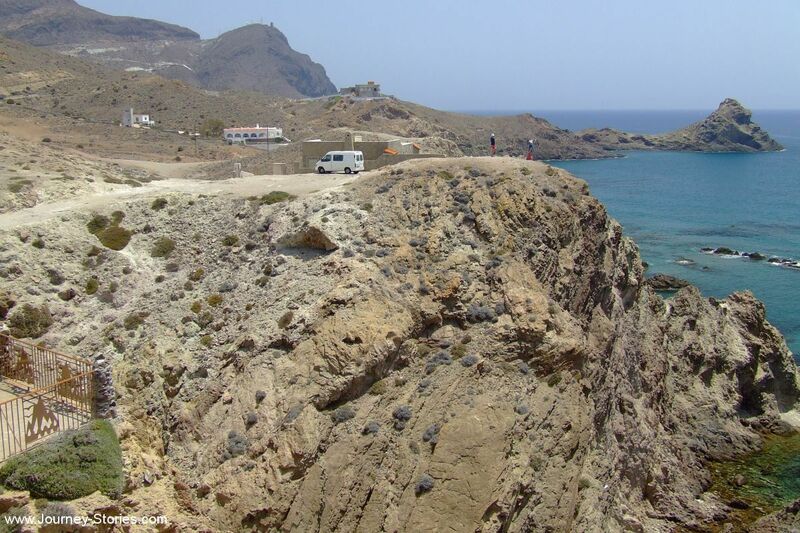 The eponymous mountain range of the Sierra del Cabo de Gata with its highest peak El Fraile is Spain’s largest volcanic rock formation with sharp peaks and crags in red/ochre-hues. 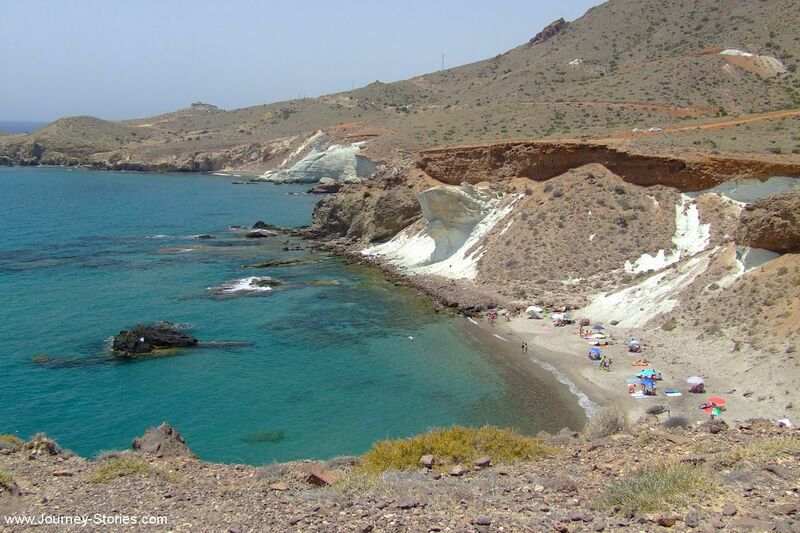 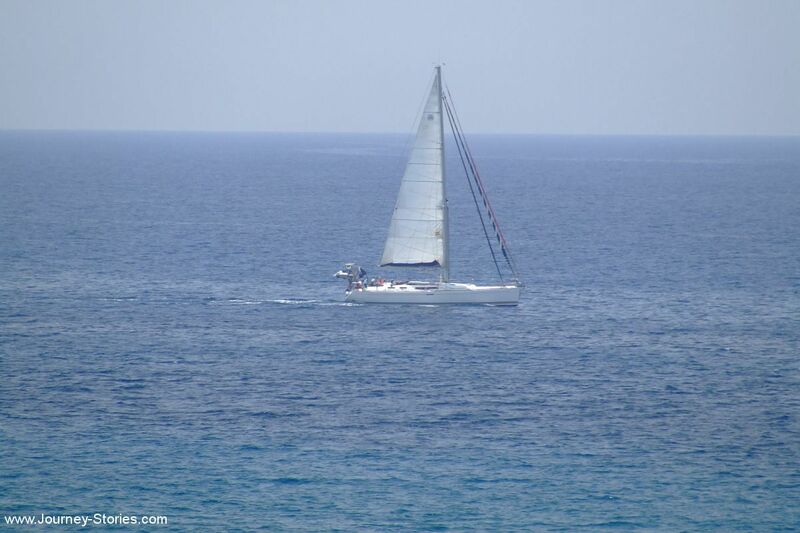 It falls steeply to the Mediterranean Sea creating jagged 100-metre high cliffs, which are riven by gullies leading to hidden coves with white sandy beaches, some of the most beautiful in Andalucia. 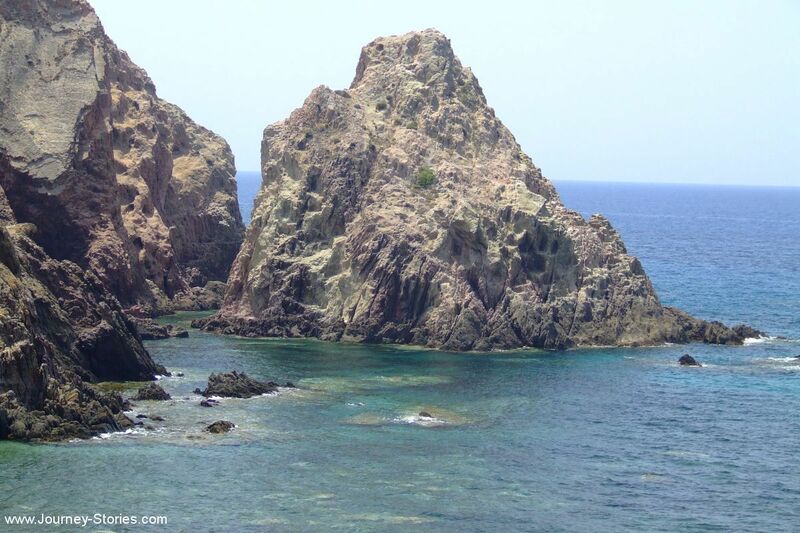 All pictures on this page was created in June-July 2016.